OP3258. 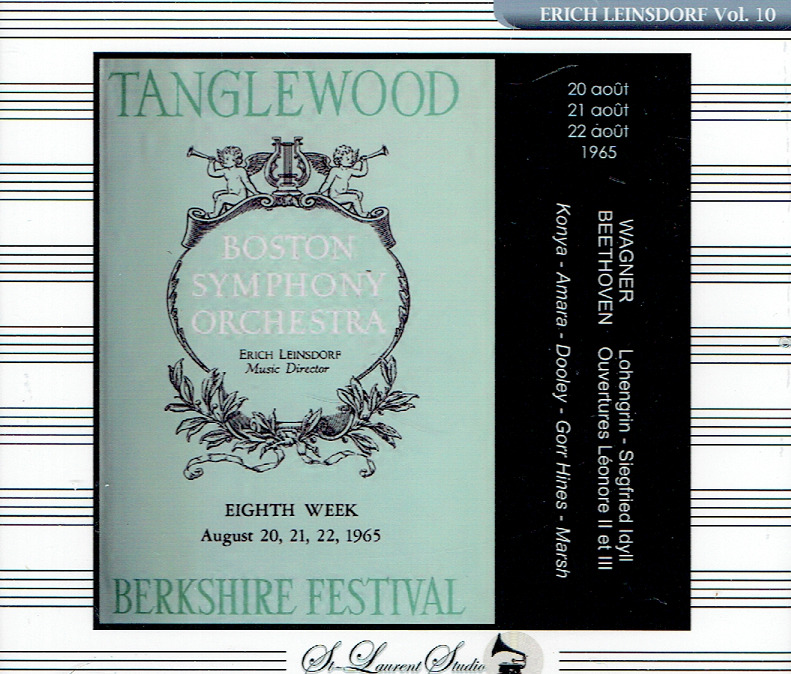 LOHENGRIN, Live Performance, 20 - 22 Aug., 1965, Tanglewood, w.Leinsdorf Cond. Boston Symphony Orch. ; Sandor Konya, Lucine Amara, Rita Gorr, William Dooley, Jerome Hines, etc. ; preceded by Leonore Overtures, Nos. II & III (Beethoven) & Siegfried Idyll (Wagner). (Canada) 3-St Laurent Studio stereo YSL T-524. Transfers by Yves St Laurent. "Mr. Konya had a powerful, dramatic voice and was most highly regarded as a Wagnerian tenor. But his broad repertory also included several of the major Verdi and Puccini roles, as well as Edgardo in Donizetti's LUCIA DI LAMMERMOOR and Turiddu in Mascagni's CAVALLERIA RUSTICANA. Although his Wagner was criticized by some for embodying an Italianate sob, Mr. Konya's admirers prized exactly that tendency toward stylistic cross-pollination. Just as he brought the emotional lyricism of Italian opera to Germanic roles, he sang Italian roles with the big, heroic sound more typically heard in German works. Mr. Konya studied at the Franz Liszt Academy in Budapest, as well as in Milan and at the Music Academy of Detmold, in northwestern Germany. In 1951 he made his professional debut as Turiddu at the Bielefeld Opera. He remained on the company's roster for three years, during which he expanded his repertory, both in grand opera and in lighter roles." "Miss Amara is another of those American singers whose longevity astounds the opera chronicler. In her case, the record is particularly impressive. Probably more than any major soprano of the last fifty years, she was the classic house soprano, taking on an amazing variety of roles and maintaining in them a level of vocalism that demands respect." "The Amara sound as first encountered was round, free, limpid, clear, flexible, youthful in the extreme, and had an incredible spin on it. The soprano maintained these characteristics longer than just about any other singer I've ever heard or known anything about. No wonder Rudolf Bing cast her as the Celestial Voice in DON CARLOS, the inaugural production of his regime as general manager of the Met. More than half a century went by between the time, a few years later, when Bing famously said: 'She is singing like an angel! An angel!' With awesome intestinal fortitude, she [subsequently] sued the Met for age discrimination in 1977. The company had offered her a contract she deemed to be demeaning when she was not only still in fine voice but producing a sound somewhat larger and richer than she had in earlier years, which wonderful performances of TOSCA, TURANDOT (and I do mean the title role, in which she was terrific), and Elsa in LOHENGRIN in particular proved. The mighty Metropolitan initially felt secure in its ability to prevail over a disgruntled, aging soprano, and in certain other quarters as well, her courage made her a pariah....those who mattered most stood by her and were present to rejoice when, after the suit was settled to her benefit (and the Met's, though company spokesmen were for some time loath to admit that having her back was a boon), she returned to the Lincoln Center stage after almost three years' absence as Amelia in BALLO IN MASCHERA. That was in 1981, and her Met farewell was not for another entire decade, a statistic that truly speaks for itself." "One of the greatest singers to emerge on the international opera scene in the 1950's, Gorr was an artist of intensity and versatility whose penetrating, powerful mezzo-soprano and scalding dramatic temperament made her an incomparable Dalila, a magisterial Amneris and a singularly convincing Mère Marie in DIALOGUES DES CARMELITES, which she sang in the Paris premiere of Poulenc's opera in 1957. Her voice was not to every taste - some found her timbre metallic and her upper range narrow - but few would deny that Rita Gorr had a grandeur and command of the stage unequaled in her generation. Gorr sang with the daring and shrewd sense of her own worth that recalled the divas of a previous golden age: critics reaching for superlatives most often compared Gorr to Marie Delna and Jeanne Gerville-Réache, two nonpareil French contraltos of the Belle Epoque. Gorr's international reputation began with her appearances at the 1958 Bayreuth Festival as Fricka in DAS RHEINGOLD (her festival debut) and DIE WALKURE and the Third Norn in GOTTERAMMERUNG. The following year, Gorr returned to Bayreuth as Ortrud and bowed at the Royal Opera House, Covent Garden, as Amneris. La Scala welcomed her in 1960 as Kundry. Other European engagements for Gorr included appearances in Vienna, Rome, Bordeaux, Lyon, Orange, Geneva, Brussels, Ghent, Stuttgart, Barcelona and Lisbon. She made impressive back-to-back debuts in autumn 1962 at the Metropolitan Opera, as Amneris to Leontyne Price's Aida on 17 October, followed by Dalila in the Lyric Opera of Chicago company premiere of SAMSON ET DALILA on 10 November - an assignment Gorr took over on short notice when Giulietta Simionato proved unwilling to re-learn in French a role she knew only in Italian. Gorr's New York appearances were relatively infrequent, despite the extravagant admiration of the local critics. She sang just forty-one performances of six roles during her five seasons on the Met roster - Amneris, Waltraute, Eboli, Azucena, Santuzza and Dalila, the latter in a new Met production of Saint-Saens' opera in 1964, opposite Jess Thomas and Gabriel Bacquier. 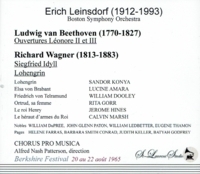 Gorr also appeared in several memorable concert performances of Massenet works at Carnegie Hall, including Anita in LA NAVARRAISE (1963) and Charlotte to Nicolai Gedda's Werther (1965), both presented by the Friends of French Opera, and the title role in HERODIADE for the American Opera Society (1964), with Régine Crespin as Salome. 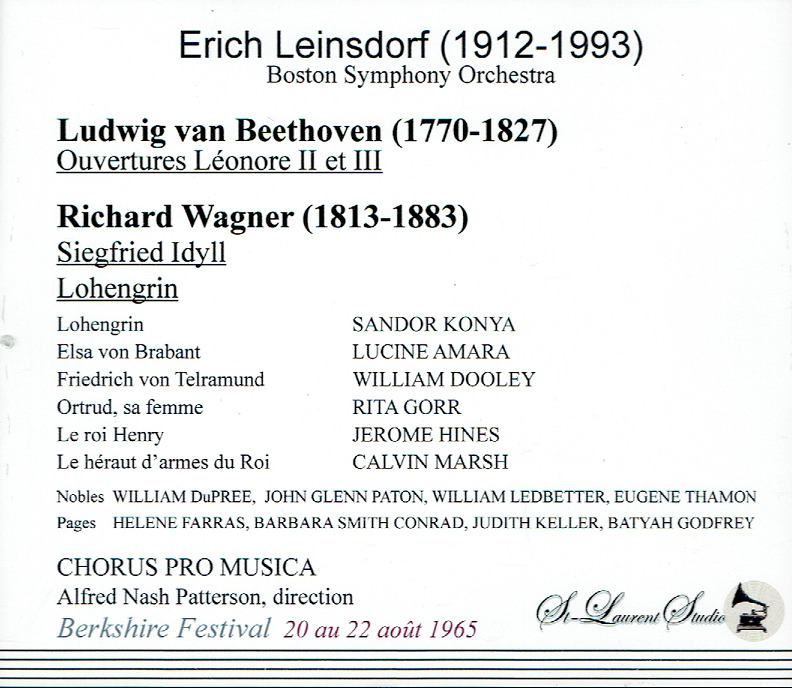 In 1992, she sang Neris in a concert of Cherubini's MEDEE with Boston Festival Opera. Gorr's last notable U.S. opera house appearance was in 1990, as Madame de Croissy in Seattle Opera's DIALOGUES DES CARMELITES, a characterization she repeated in several subsequent stagings, including Robert Carsen's memorable 1997 production for the Netherlands Opera, and on Kent Nagano's 1990 recording with the Opéra de Lyon (Virgin). Gorr sang opera for more than fifty years. Her last opera performances were in summer 2007, when she was eighty-one, in THE QUEEN OF SPADES for Vlaamse Opera. She died after a long illness."